Vacuuming is a chore. Choosing a vacuum shouldn’t be. Whether they’re shopping at Target or Amazon, American consumers have one burning question on their minds: Should we buy a bagged or bagless vacuum cleaner? 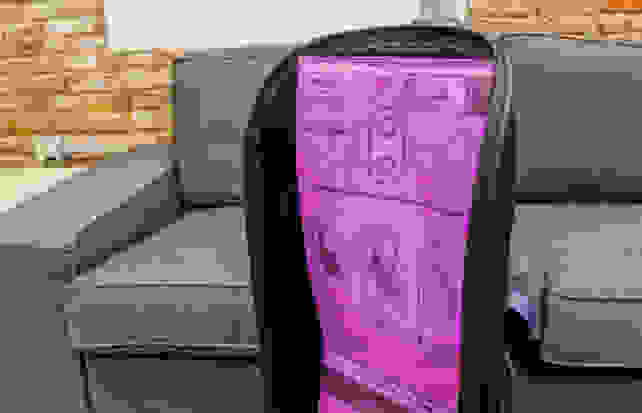 Normally, the experts at Reviewed.com can offer a recommendation that’s backed up by experience and years of rigorous product tests. We’ve gone on the record in favor of front-load laundry and induction cooking, and against cheap cameras and smart refrigerators. But in this case, we are choosing to withhold our opinions. That’s because the advantages and disadvantages of one style over other are largely up to personal preference. Instead, we’ve decided to help you make your own decision about what kind of vacuum is best for you. Years ago, there was only one kind of vacuum. It put dirt into a paper or cloth bag that the user would discard whenever it got full. Today, bagged vacuums are less popular than bagless models—but they still have some distinct advantages. An Oreck upright vacuum with a large, replaceable bag. The cost of replacement bags has traditionally been the strongest argument against a bagged vacuum. However, bags can cost as little as a few cents or a few dollars each. Since most consumers change their bag every month or so, bags should never be a major expense. There’s one big advantage to a bagged vacuum: You never have to see the dirt it picks up. When the bag gets full, just remove it from the vacuum and toss it in the trash. Some bags even seal themselves shut as you remove them. Emptying some bagless vacuums can be more cumbersome, and it’s easy to spill dirt and dust onto the floor instead of into a trash can. However, since bagged vacuums tend to hold more dirt than their bagless counterparts, that dirt can sit for an awful long time. If you don’t vacuum often or have a small home, a bagged vacuum may start to smell unless you change the bag before it fills up. That’s especially true if you have pets. Whether you buy a bagged or bagless vacuum, you can choose from various filtration types—including HEPA filtration. Most bagged vacuums use the bag as part of the overall filtration system, so you get a clean filter whenever you change the bag. In addition, many bagged vacuums have washable prefilters and replaceable exhaust filters—although some have expensive exhaust filters that must be replaced every 6-12 months. Bagged vacuums can have sealed HEPA filtration, too. To learn more, read our guide to vacuum cleaner filtration. Bagged vacuum cleaners don’t need to be emptied as often, and it’s often easier to change a bag than to empty a bagless cleaner’s dirt receptacle. However, you always need to have bags on hand. Otherwise, a full bag could mark the end of your chores before they are complete. Luckily, bags are easier to obtain than ever before. Amazon has most styles available for next-day shipping, so you’ll never have to schlep to Sears or the Oreck store to buy replacements. Bagless vacuums have increased in popularity since their debut several decades ago. Nearly all major manufacturers make bagless models, and consumers like them because it's easy to see when they need to be emptied. Plus, there's no need to ever buy replacement bags. 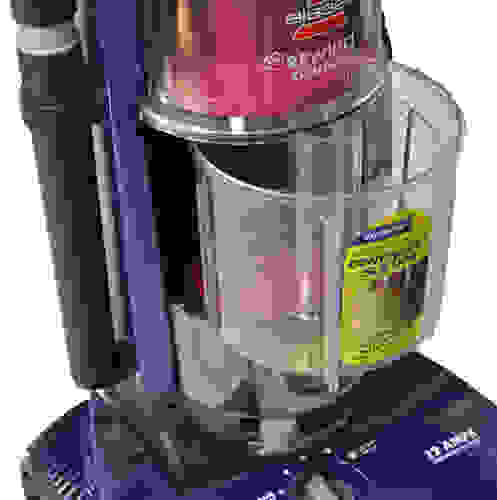 Still, a bad bagless vacuum can be cumbersome—so it's a good idea to read reviews and choose the right model. Some dirt receptacles are difficult to remove. This one was flimsy and stuck. Even though you’ll never have to buy a replacement bag for a bagless vacuum, cheaper models may still require a replacement filter. Depending on the vacuum, filters cost anywhere between $5 and $40, and need to be replaced every 3-12 months. That’s one reason Dyson’s Cinetic vacuums are so popular: They may cost more up front, but don’t require any replacement filters. 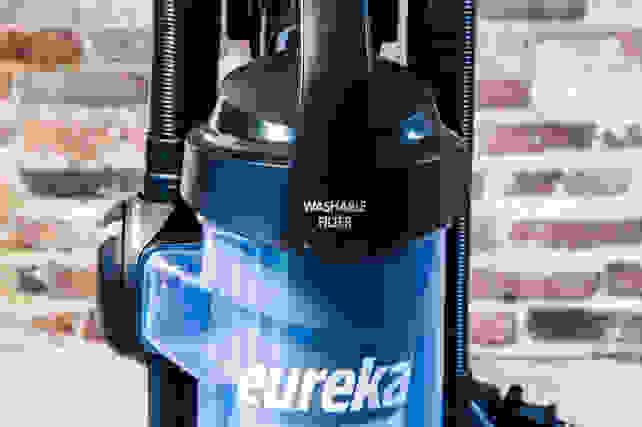 How easy it is to empty a bagless vacuum is entirely dependent on which vacuum you choose. Some models have a hands-free setup, where you simply place the dirt receptacle over a trash bin and press a button to empty it. Others require you to twist and pull—increasing the chances that you’ll accidentally spill dirt on the floor or create a cloud of dust. We take the ease of emptying a dirt receptacle into account in our tests, which means we will never give our highest recommendation to a vacuum that drops dust all over the floor. Like their bagged counterparts, bagless vacuums can come with various levels of filtration. To learn more, read our guide to vacuum cleaner filtration. This bagless vacuum has a washable filter, which can save you money. The most obvious benefit of a bagless vacuum is that you never need to buy replacement bags. When the vacuum fills up, just empty it and keep on cleaning. However, not all bagless vacuums are easy to empty. Some are quite clunky, so make sure to read reviews or practice opening the dirt receptacle before you buy. The good news is that both canister and upright vacuums are available as bagged or bagless—so you can choose the style that works best for you.